Sometimes when my head hits the pillow at night, I think about if I talked to my kids that day. I'm sure I told them stuff -- hang your coat up, do your homework, no more videogames, brush your teeth. But did I really talk to them? Did I take the time to ask about the doodles on Annie's hands and listen to the tales of friendship attached? Did I check in with Charlie and ask about how things are going with the lunch table crew? Did I tell Robbie how proud I am that he is taking such an interest in doing well in school? Now, tell me you aren't reaching for the Kleenex right now. Once we all dried our eyes from that little share-fest, we got to hear from two Hallmark writers and an ornament designer. Seriously, me getting to get a little peek inside the inner workings of the brain of a Hallmark writer is like Charlie having a chance to learn shooting technique from Michael Jordan. After hearing about the ornament design process, I will admit to feeling more than a little bit guilty that I'm not a mom who buys her kids a new Hallmark Christmas ornament each year. Hey, those things are pricey. However, I will say that learning all the steps involved in the process -- did you know they make and dress with real fabric 7 models of each little figure, I can appreciate the cost a little more. 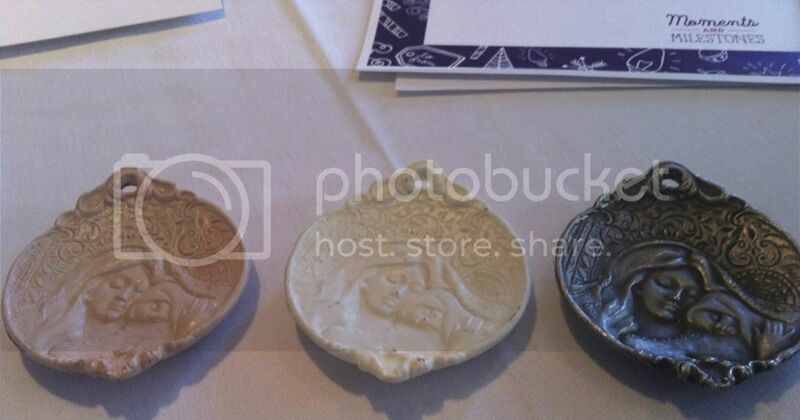 This ornament was carved in clay first, then molded in plastic, then produced in pewter. Maybe I'll start buying one family ornament each year. 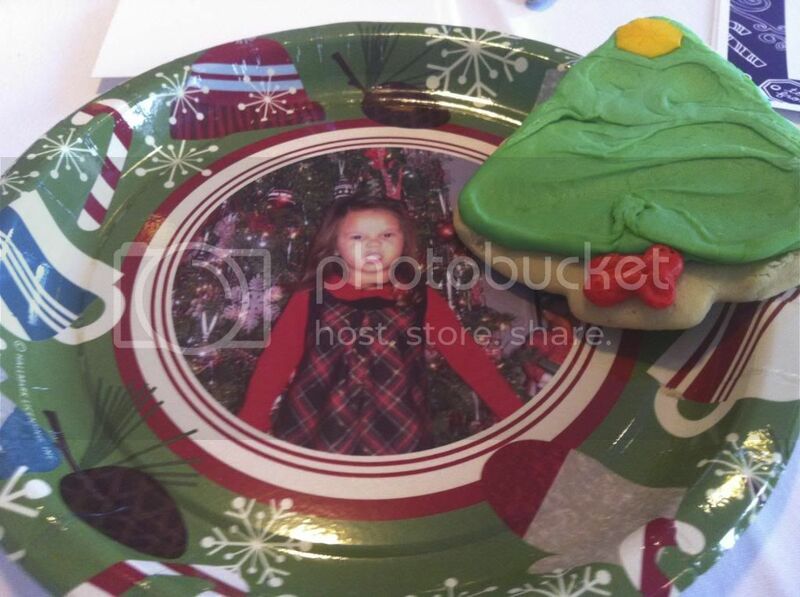 Even though it was mid-October, we enjoyed frosted Christmas sugar cookies on custom-designed paper plates. If my mother-in-law were still alive, this is so something she would buy. Well, she would ask me to buy them because she would never be able to figure out how to order online. This cutie on my plate is the daughter of one of the bloggers who was there. So I was very careful not to smear frosting on the plate, so I could wipe the crumbs off and let the mama take the plate home. Oh yes, I did. If it was my kid's face on a paper plate, I would have collected every plate in the room. Your kid's face on a paper plate? That tells them "You're special." And then, there was the swag. Oh yes, the swag! There were Thanksgiving greeting cards, interactive story books, ornaments, recordable books, and my favorite, the Text Bands. 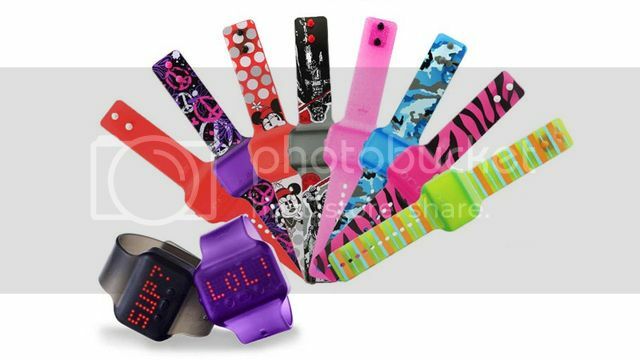 Text Bands are wrist-watch like devices that allow kids to type a message (up to 10 characters) into their band. Think of it as "Tell Them, the digital version." The message scrolls across the face of the band -- URCOOL or BSTFRIEND or LUVMOM. Then when the kid bumps knuckles, high five or shake hands with another band-wearer, the messages swap. Up to 24 messages can be saved on the band. Click the picture to the right for a demo. I think the Text Bands are so cool that when Hallmark offered me the chance to do a giveaway of one of their products on my blog, I picked Text Bands. Lucky you! So here's the deal. This contest is open from now until midnight on Saturday, November 17. I'm using one of those fancy RaffleCopter widgets to collect entries. The winner will be drawn on Saturday morning and your set of 2 Text Bands will be sent to you directly from my new friends at Hallmark. I would love something like this for my son. I may have to check something like that out even if I can't win one! My husband needs to know that I appreciate all the time he is spending taking his Dad to doctor appts., making decisions for him that Dad, can't bring himself to make, all while trying to keep his struggling business afloat. 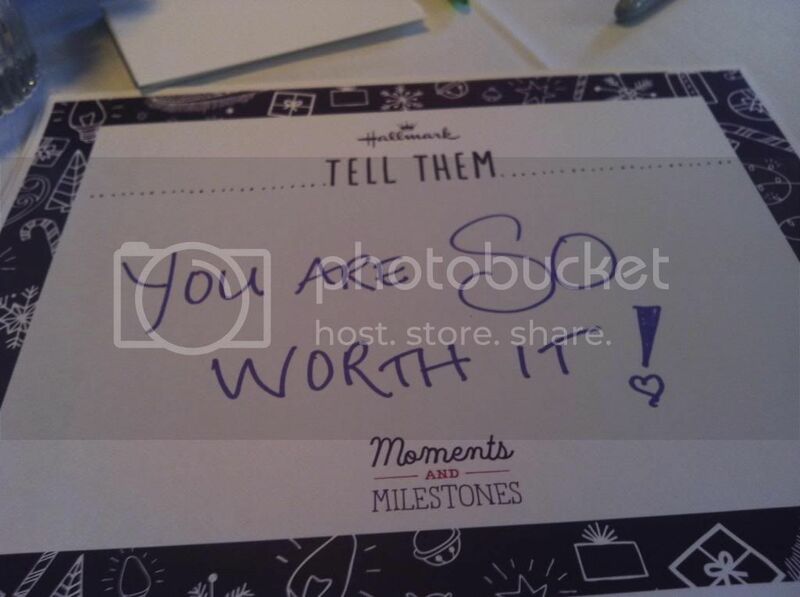 The Hallmark video was beautiful. I hated to see it end!! I have a couple of little cousins that have a really rough couple of years. They need to hear that I think they are amazing and I am so proud of how they have handled everything. My boys would, esp my 13 year old. He's "too cool" to really tell me things, but I know he still likes to hear me tell him that I love him and that I'm proud of him. My hubby needs a band so he'll know how much I appreciate him when he's at work providing for our family.